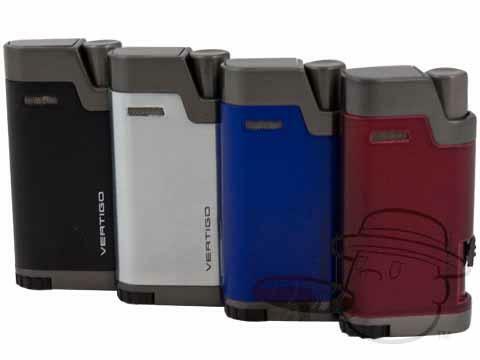 The Vertigo Bullet lighter has loads of awesome features including a single action ignition button that powers a double torch flame, a bullet cutter fuel level viewing window and a solid metal case. These lighters come in various colors. Great lighter for the price. The built in punch really is handy tonhave. Vertigo Bullet Double Flame Torch Lighter By Lotus - Assorted Colors is rated 5 out of 5 based on 2 customer ratings. Can you request a color. I need the blue one. Yes, you may request a color in the "special instructions or comments" section when you place the order. You may do so on any assorted item for that matter, or request whatever feature is relevant to the assortment.